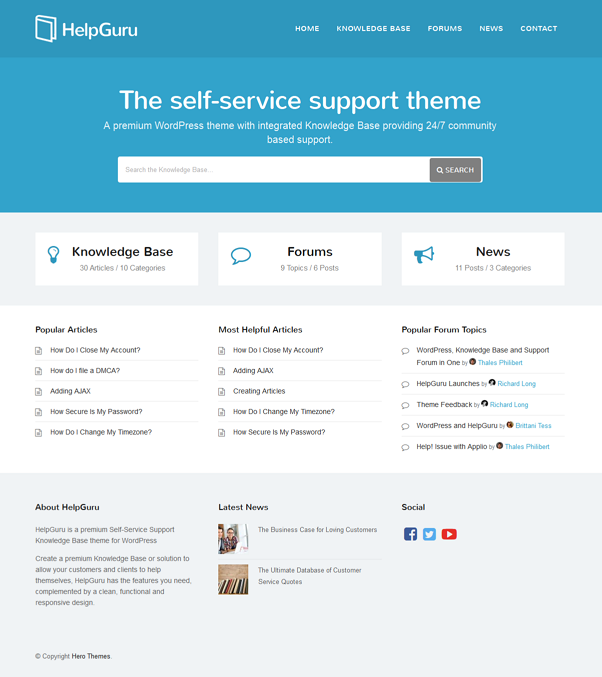 HelpGuru is a premium Self-Service Support Knowledge Base theme for WordPress. Featuring a host of new features, HelpGuru comes packaged with Heroic Knowledge Base, the most powerful Knowledge Base plugin for WordPress. 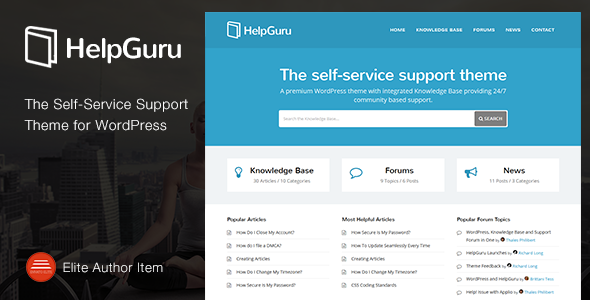 Item Reviewed: HelpGuru - A Self-Service Knowledge Base Theme 9 out of 10 based on 10 ratings. 9 user reviews.